We rarely repost content here but this video from Arc'Teryx resonated with me on a number of levels. I've long been attracted to the idea of visiting peaks one can see from your own backyard. Growing up near Puget Sound I'd plan trips to peaks of the Olympic skyline. Now I live in a valley where the horizon is filled with the brush guarded, rarely visited summits of the Bitterroot and Sapphire Mountains. The shenanigans required to recreate on such minor summits of the Pacific North West are rarely glorified. This may be the first commercial skiing/boarding video I've seen that includes shots of steep icy forest approaches, Devil's Club, a Canoe and an early retreat after an approach that took longer than it looked on the map. I'm not sure who originated the term, but I recall Colin Haley fittingly referring to this sort of thing as "sub-aplinism." 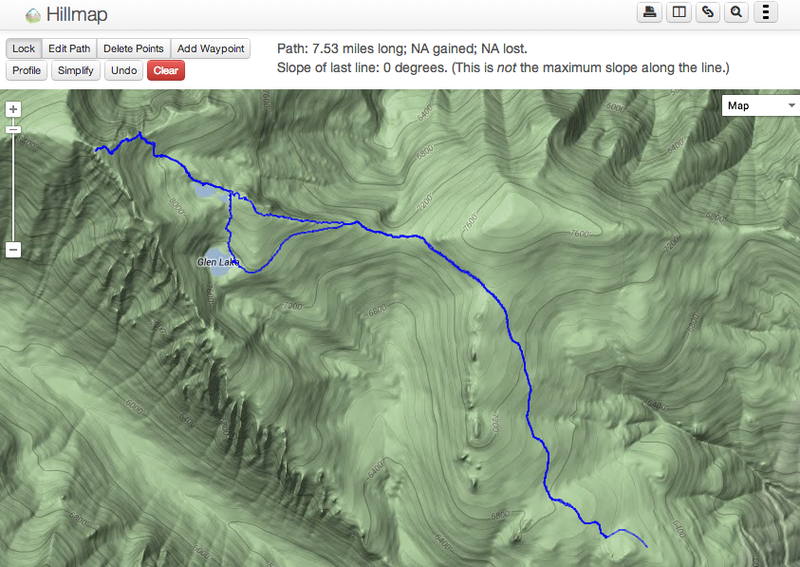 Use Hillmap to create, share and explore tracks and routes for your GPS device. 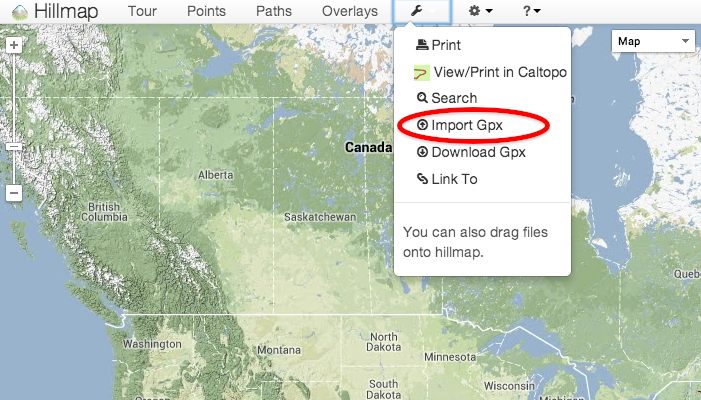 You can import or export files from Hillmap directly to your GPS. 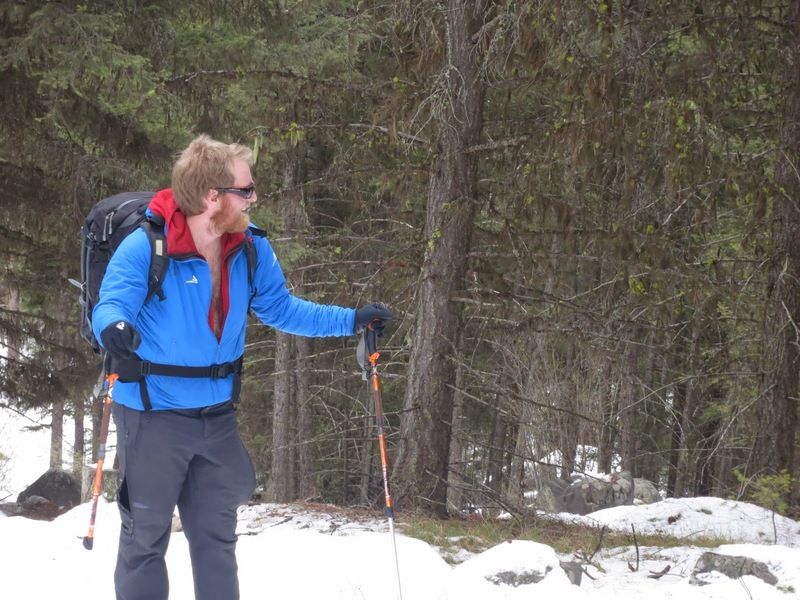 Note: I used a Garmin GPSMp 62s gps for the example in this blog post. Many of the newer GPS devices should work similarly, however, some GPS software will not interact with your computer in the same way. The instructions for hillmap will be the same for all devices. To import and view a GPX file from your GPS, first connect your GPS to your computer. From here there are two ways to import. The first way is to choose Import Gpx from the tools menu (see photo above). 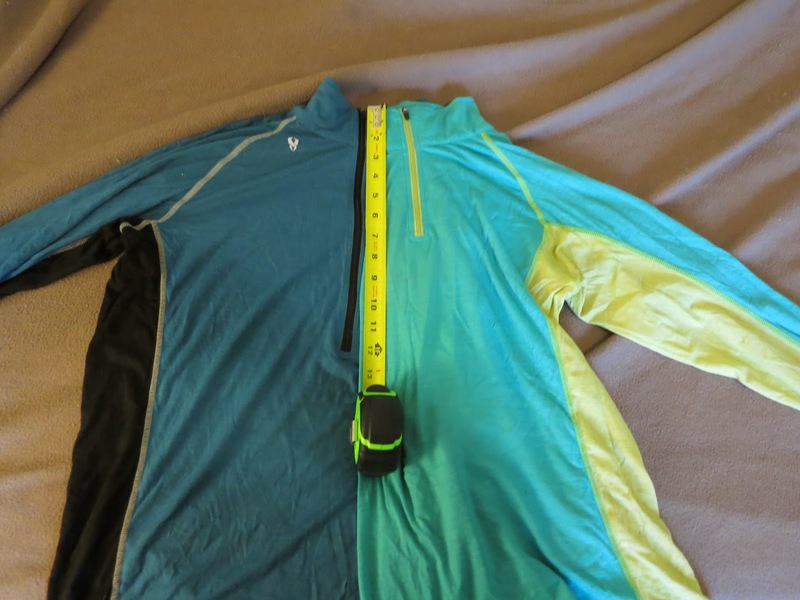 A screen will pop up for you to navigate to the GPX file on your GPS. When you select the file, it will show up on Hillmap. The second way, and the way I like best, is to drag and drop the file directly from my GPS directory into hillmap. In this case I open up my Garmin directory (my GPS), and find the track I want in the GPX folder and drag and drop it onto the hillmap screen. After you have created a path, you can export it to your GPS as a route or track. 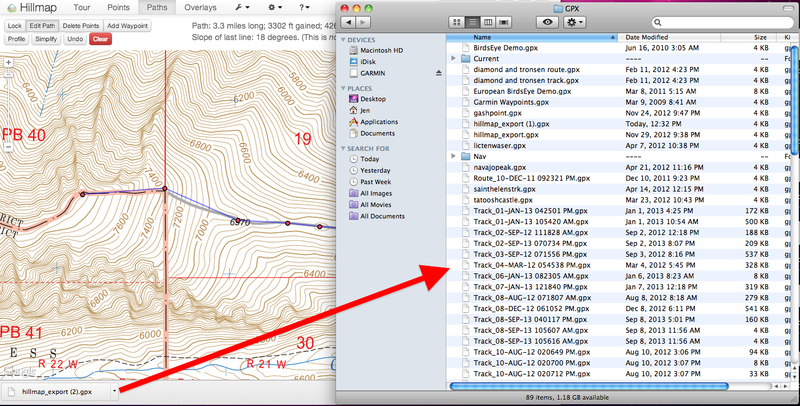 Open up the Tools drop down menu from the top bar, and select Download Gpx (see above image). The Export GPX File window will pop up, and you can choose to export as a route or a track. A route is a set of waypoints, and a track is a line drawn on the map. A track works well with a map display on your GPS. Drag the downloaded file to your GPS directory. In this case, the directory name is Garmin and the file GPX. Select Route or Track, and the file will download. You can then drag and drop the downloaded file to your GPS directory, or open it on your computer if you have the right software. When you disconnect your GPS from the computer, the file will be stored on your device. Every GPS will work a little bit differently and you may need to look at the instructions for which file to store your track or route in and how to access it on your device. I've been skiing my Scapra Maestrale boots with the wrap liner from my old Scapra Spirit 4s when I want a bit of extra stiffness. The Maestrale liner has a flexible soft ankle region which helps them tour well but doesn't give the boot shell a ton of support. When skiing cut up variable snow with the stock liners the Maestrale can collapse forward from lower shell deformation. My Spirit liner is a bit stiffer and higher and takes up more volume in the ankle of the shell despite being from a smaller shell sized boot (26.5/27 vs 27.5/28). I have wide feet and my spirits were quite tight lengthwise (too tight for long tours) but snug side to side. The larger Maestrale is around the same width but has more toe room. I decided to remold the front of the liners to give my toes some more wiggle room and better fit the front of the Maestrales. The process is similar to molding an Intuition for the fist time (see here and here) and should also work if you just need to make more space in the toes (or anywhere else) without remolding a liner. Toe caps or padding for the spot you need more space. I used the toes from some old socks and some neoprene bike shoe toe covers I found for cheap but you can get the real thing from Intuition. If you are just heating the toe you can also wear multiple pairs of socks. If you're molding more then just the toe make sure the padding doesn't go too far back or you'll loosen up spots you want to be snug. A book or bit of 2x4 to stand on. A bit of wood or cardboard to work on so you don't accidentally melt your workspace. You might also consider using tin foil to shield areas you don't want heated. Prepare your workspace with a chair to sit on while putting the liner in the shell and some entertainment and a cold drink to enjoy while you wait for the liner to cool on your foot. This padding goes too far down my foot but i'm only heating the toes. If I was molding the whole boot I'd cut the toe cap shorter. Sock goes over this contraption. Tape the inside back of the shell with smooth packing tape to produce a smooth surface you can easily slide the liner in on. Have 2 thin plastic grocery store shopping bags and some silicone lubricant spray handy. When the liner is hot put a bag over it and spray with lubricant. The bag covered liner should slide right into the shell. Also make sure the shells have the micro adjust buckles adjusted how you want them before you start. Loose buckles during molding will yield a tighter end product and tighter buckles a looser one. When you're ready to cook, carefully and slowly heat the toe with the heat gun until it is warm and squishy throughout. I started with the gun set quite cool but ended up using a temperature setting around 500 degrees. Keep the gun moving and bring the temperature up slowly. I tried to get some hot air into the inside of the toe but mostly heated the outside. Be careful not to get areas you don't want to remold too warm. Once the liner is hot and squishy put your sock clad foot in it and insert the whole mess into the boot like you practiced. Once your foot is in do up the buckles put the boots in ski mode, give the heel of the boot a kick against the floor and then flex the boots forward to make sure your foot is in the right place. Stand with the toe of the boot on a book or bit of 2x4 while it cools. This last part is intended to form a heal pocket and is less crucial if you're only remolding the toes though you still need to get your foot in the right place somehow. I started working on the second liner while standing there waiting for the first to cool which worked well. In the end you want to let each liner cool for at least 15 minutes. I haven't had a chance to ski these since I remolded them but the end result seems good, plenty of room to wiggle my toes but still a firm hold on the rest of my foot and lower leg. 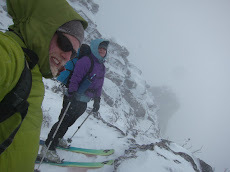 After not riding lifts once last season I've been mostly skiing in bounds this year. 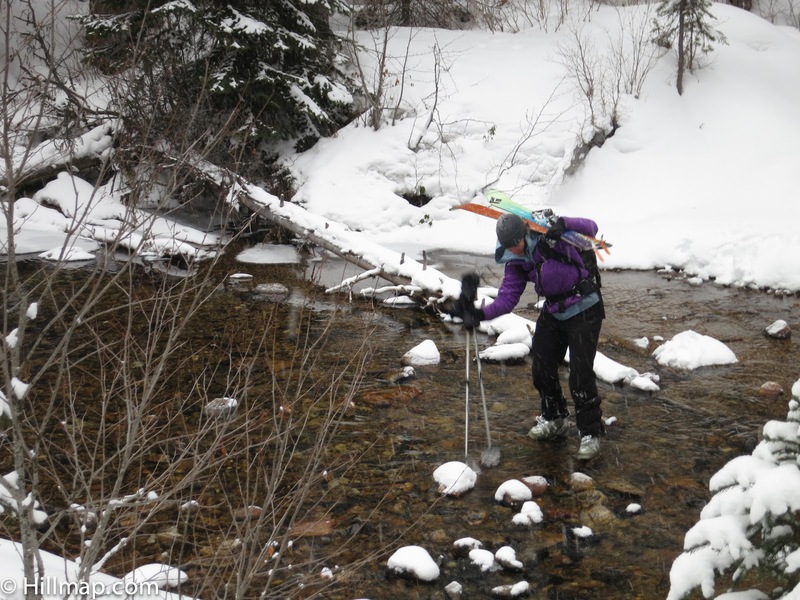 This has been an easy decision to make: the early cold snap has left the backcountry snowpack faceted and unstable in many places while our local ski area has had consistently good conditions. (Not to rub things in for our Washington friends). I love the light weight and shortish length of my 175 Black Diamond Justices in the backcountry but they are a bit short for inbounds use. I sometimes end up feeling "over the handle bars" plowing through variable cut up and snow. I decided I needed a set of skis that were longer and more stable but still light enough to tour with. When a deal on a pair of lightly used 191 Voile Chargers popped up I jumped on them. They arrived the day before we drove to visit my parents in Washington so I decided to bring them with and take advantage of my Dad and his milling machine to mount a pair of Dynafit Vertical ST's on them. 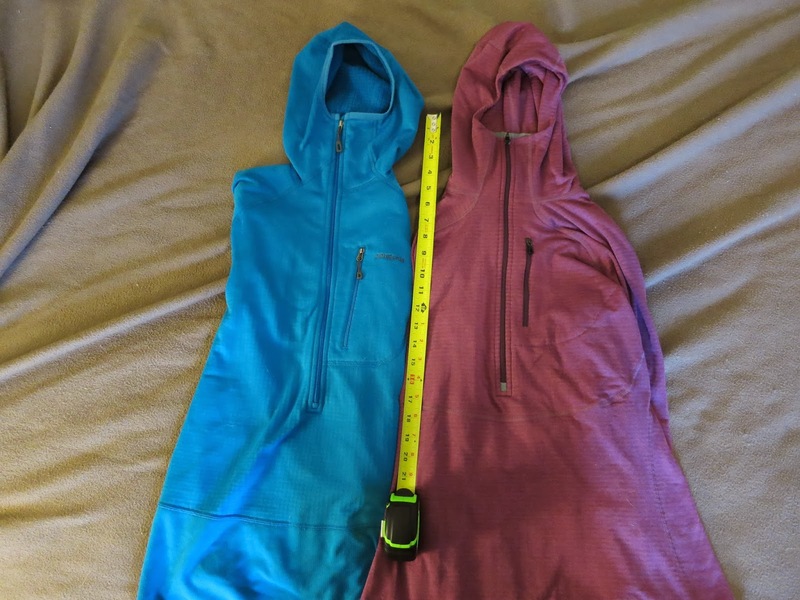 A typical ski shop will have a set of jigs for each binding that allow the binding to be centered and accurate holes to be made with a hand drill or drill press. A home ski tech might use paper jigs to accomplish the same but is a time consuming and somewhat error prone process. A milling machine (in this case with edge finder and digital readout) side steps the need for jigs and allows one to precisely position holes by moving the table. The most time consuming part of the process was measuring the bindings to determine where the holes should go. We ended up mounting the boots about 1.5 cm's forward of the line to reuse some existing holes from the previous mount. I've been out on the skis for two in bounds days now and, while they are definitely different, am really enjoying adjusting to them. Surprisingly, I've found that the increased rocker and shorter turning radius makes them easier to turn than the Justices in some situations despite the longer length. The first few runs I actually surprised myself by hooking/turning too quickly as I had assumed they would require more aggressive skiing then the shorter Justices. They seem to respond well and playfully to my usual balanced skiing style and soft Orange Maestrale boots while the longer running length and rocker and slightly increased weight does indeed handle chop better and eliminate the occasional over the handlebar/buried tip feeling I got in variable in bounds snow on the Justices. They also carve surprisingly well though I can only compare them to backcountry skis. View from near the top of Lost Trail.